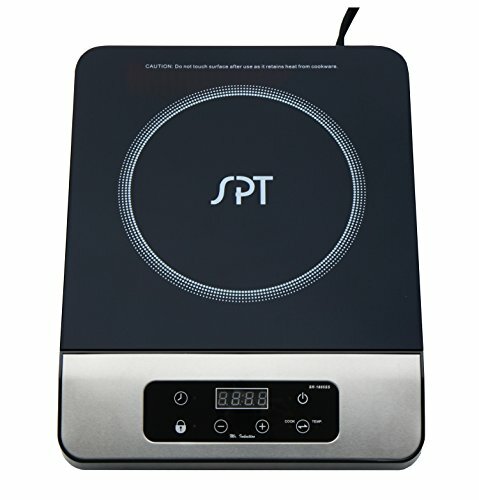 Micro-Induction Cooktop provides the best in cooktop performance, safety and efficiency. Induction heats as electricity flows through a coil to produce a magnetic field under the ceramic plate. When a ferromagnetic cookware is placed on the ceramic surface, currents are induced in the cookware and instant heat is generated due to the resistance of the pan. Heat is generated to the pan only and no heat is lost. As there are no open flames, inductions are safer to use than conventional burners. Once cookware is removed, all molecular activity ceases and heating is stopped immediately. View More In Countertop Burners. If you have any questions about this product by SPT, contact us by completing and submitting the form below. If you are looking for a specif part number, please include it with your message.